Why Are Compact Cars Doing So Well While Midsize Sedans Go Extinct? Is the compact segment poised to replace midsize vehicles? The media can be quite a confusing thing, with biases, incomplete reporting, and unknown variables painting a picture of reality that skews it to look more glorified or bleak than it really is. Supposedly the numbers tell us that an hourglass economy is starting to form with the rich growing wealthier and the poor getting ever more broke. The middle class is nowhere to be found, but that’s certainly not reflected in today’s automobile sales, is it? Accord to analysis done by the number crunching gurus at The Truth About Cars, it is. Last year’s record-breaking auto sales and the fact that many of them came from buyers snatching up luxury cars and SUVs would seem to indicate that money is flowing through the hands of the masses. But there’s another segment that’s refusing to die out, contradicting the notion that nothing but SUVs are moving off of dealership lots nowadays. That would be the compact car segment. Though sales in that segment are still falling, they’re remaining relatively stable compared to midsize cars. When comparing sales of compact cars with midsize vehicles in the US, the difference becomes most apparent. In 2016, midsize cars outsold compacts by 24,000 units, but that lead was surpassed in 2017. In the first six months of this year, compacts have outsold midsize cars by 115,000 vehicles. 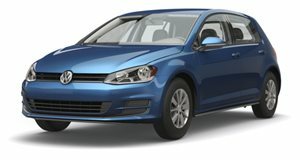 The disparity can be attributed to the continual downturn of the midsize car relative to the stable flow of compacts, but what’s feeding that stability at a time where every buyer seems to be gravitating towards an SUV are ex midsize car owners, some of which are moving downwards and buying compact cars rather than going with the flow and purchasing an SUV. There are a few guesses as to why that’s happening, and one of them is that some consumers are on tighter budgets and must cut costs. On the other hand, there’s the fact that compact cars have both exacerbated their good qualities and have remedied some of their previous maladies, such as making their owners feel as if they’d bought themselves deathtrap econoboxes. Try calling a Volkswagen Golf GTI that with a straight face and you'll see the point. This might not mean that car buyers are going to help the compact car segment surge, but its resilience as well as the fact that small crossovers are the SUV segment's moneymaker goes to show that people still want to drive small cars. That or everybody is going broke.